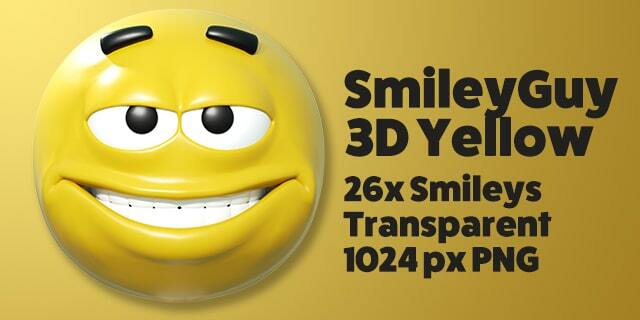 26 different glossy yellow Emoji/Smiley faces. Each smiley is showing different emotions, actions and thoughts. Additional colored versions can be found here.